The Patagonia Departer Gore-Tex Women’s Jacket is a 2 layer Gore-Tex shell that has the Gore-Tex waterproof and windproof promise. It is a very light shell that would be great for hiking or using to layer up for any type of weather. Patagonia outerwear seem to run a little big, I think I would still go for the medium but their sizing is slightly different from a lot of other outerwear I’ve tried. Ethics Statement: We don’t get paid by the manufacturer to write these reviews. No one is perfect and we do make money from the “Where To Buy” links below, but this is our best attempt at an honest and objective review from an average riders’ perspective. Fit: The Departer jacket has a regular relaxed fit to give you room to layer, but isn’t super baggy either. I found Patagonia outerwear to run a little on the larger side so just make sure to size according to their chart. Construction: Very well made, everything looked well put together and on point. Hood: Great fitting hood for over the helmet riding. Plenty of room to twist and move your head around. Insulation/Warmth: No insulation on this one, it is just a shell. But you do get very good windproofing that will help you keep warm from icy winds. Waterproofing: Great waterproofing, Gore-Tex is somewhere around 28k. You should be well protected from any type of moisture coming your way. Breathability: Great breathability that comes with any Gore-Tex material. Packability: Should pack down nicely. It is a simple shell with only the necessities so compresses pretty well. Overall: The Patagonia Departer Jacket would be great for someone who hikes a lot, likes to storm ride, or rides a mountain that has wetter snowfall, sleet, and even rain. You get all the things you need, but there are no bells or whistles on this shell, it gets right to the point. It has plenty of room for custom layering underneath and comes with the great Patagonia warranty as well. 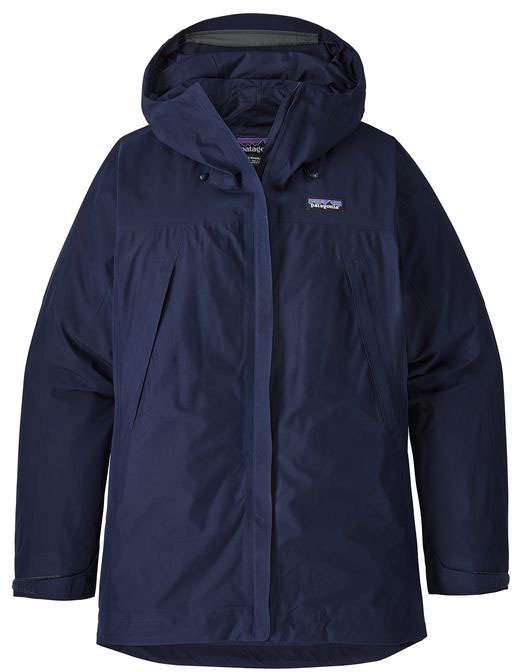 We try to get as many images of the Patagonia Departer Gore-Tex Women's Jacket, but forgive us if they're not all there.